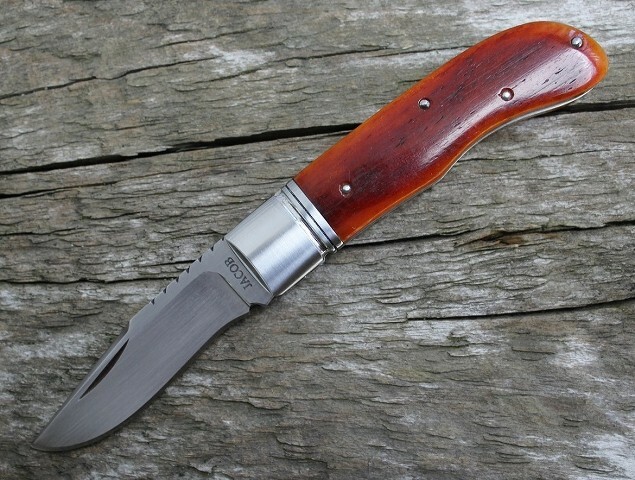 This beautiful trapper knife from P.H "Phil" Jacob from Wichita, Kansas. The knife features amber camel bone handles with grooved 410 stainless steel bolsters, Roman knot backsping & liners fileworks. 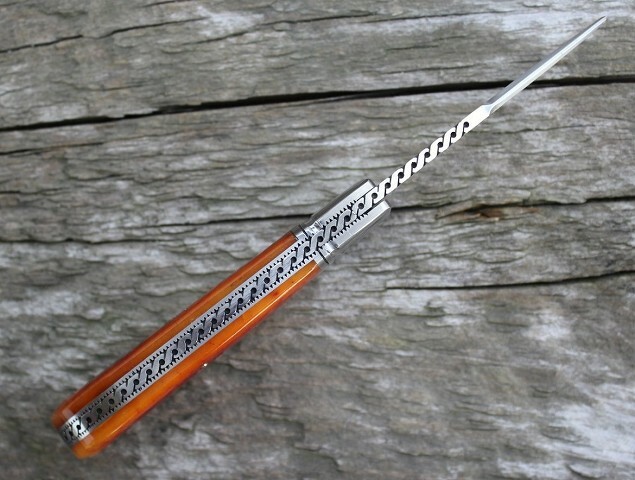 The 2" dop point blade is made of hand rubbed satin CPM154 stainless steel. Phil has learned such skill and teqnique from his mentor Rusty Preston of Texas and it shows in his knives. Phil is the winner of the 2017 Blade Show best new knife maker award. Last edited by Perryknifeworks; 08-22-2017 at 03:46 PM.